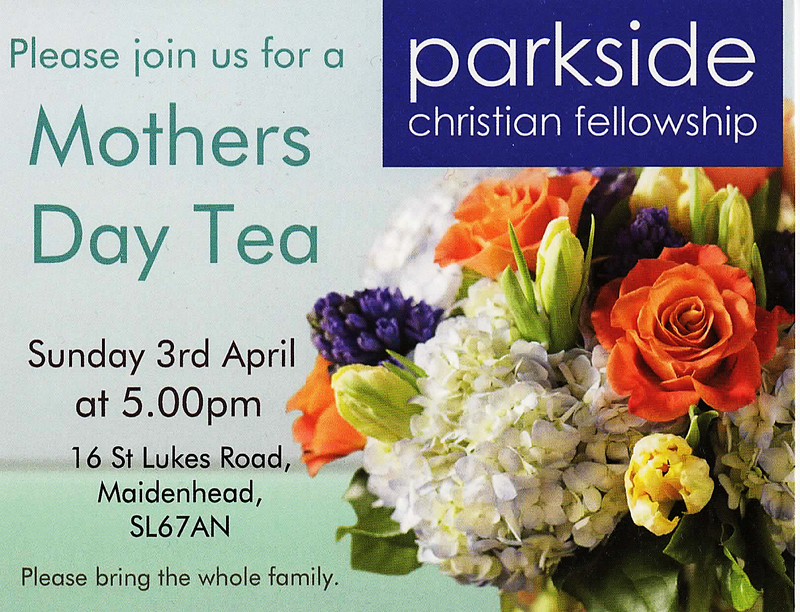 We had a good time for our annual Mother’s Day Tea, at Parkside with around 60 people coming along to enjoy a variety of food on offer. The tea was ‘chaired’ by David Hedges and he welcomed people, gave thanks for the food and invited those there to ‘tuck in’! Sandwiches, scones, crisps and cake a-plenty were devoured by the hungry masses with the coloured jelly proving popular as usual. After the tea we enjoyed singing a few of the Sunday Club favourites before Victor came up to speak for a few minutes expanding on John 3:16 – For God loved the world so much that He gave his one and only son, Jesus Christ, that whoever believes in Him should not perish but have everlasting life. All of the Mums at the tea were given a small present to take home with them. It was especially good to welcome various people for the first time, including Andrew Burdett and his family, as well welcoming back other more familiar faces. Our next Family Service is on 1st May at 11.30am.